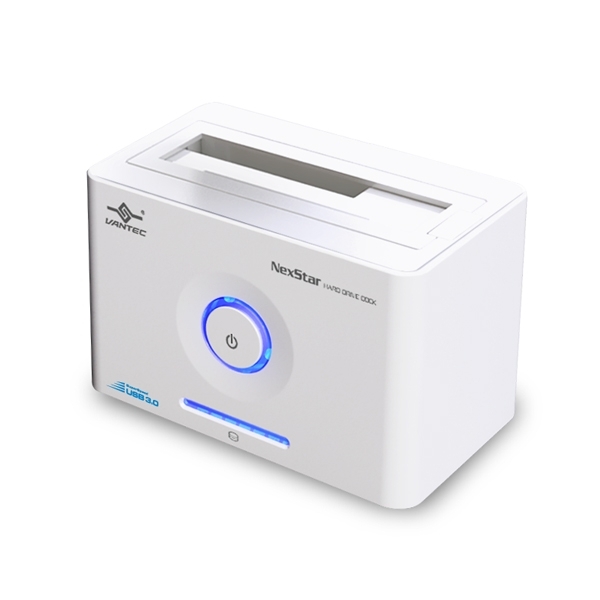 The Vantec NexStar® SuperSpeed USB 3.0 Hard Drive Dock is a complete and easy way to add or swap hard drives with your computer. Integrated with the latest USB 3.0 technology, performance is increased by 10 fold offering maximum speeds of up to 5 Gbps. The need of opening up your computer case or installing the hard drive into an enclosure is now a distant memory. 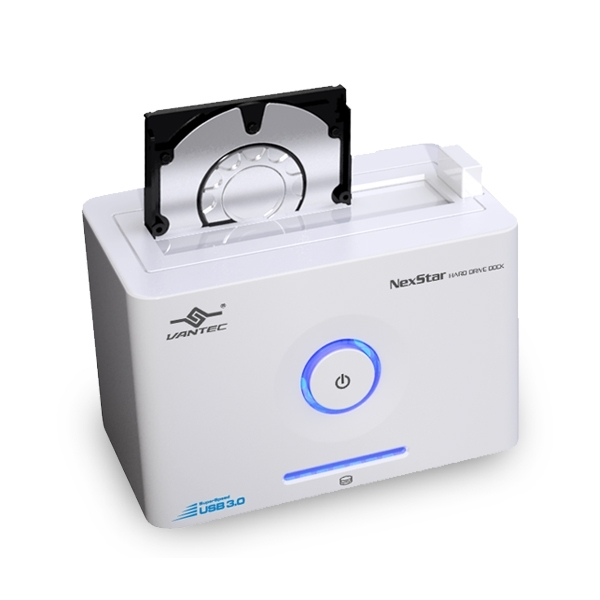 Simply insert any 2.5” or 3.5” SATA I/II/III hard drive into the Hard Drive Dock and you are ready to transfer, copy, or backup files. 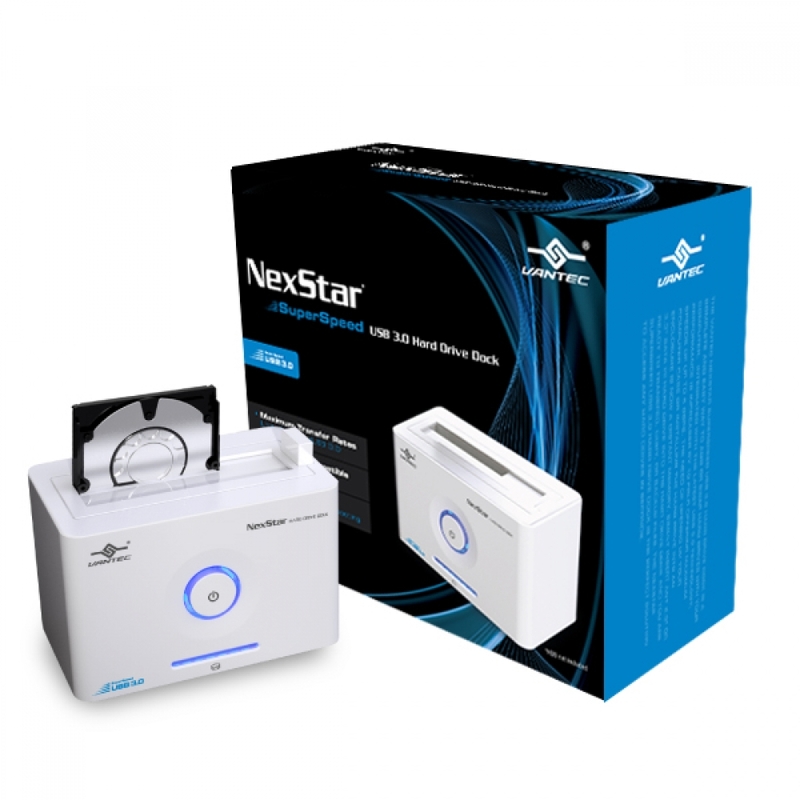 The NexStar® SuperSpeed USB 3.0 Hard Drive Dock is the perfect solution to access any hard drives in seconds.